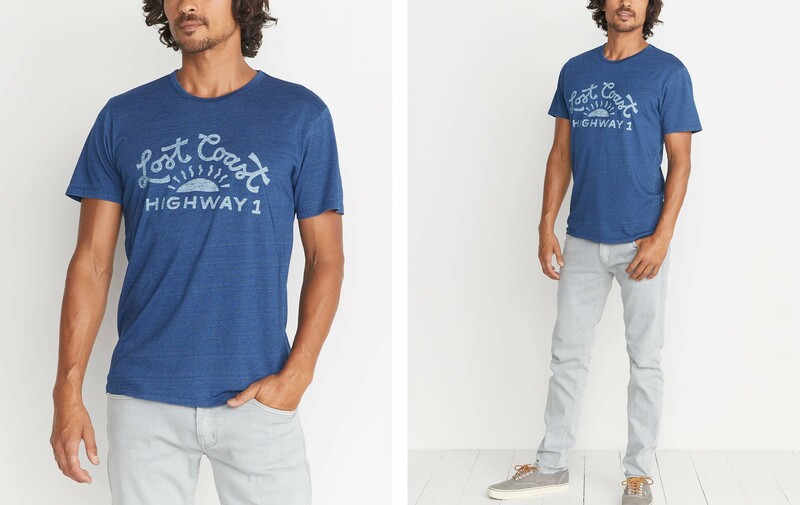 This isn't your average indigo-dyed graphic tee (as if there were such a thing to begin with). We took our custom graphic and printed a mirror image of it from the inside, so when it shows up on the front, it looks a little faded out. 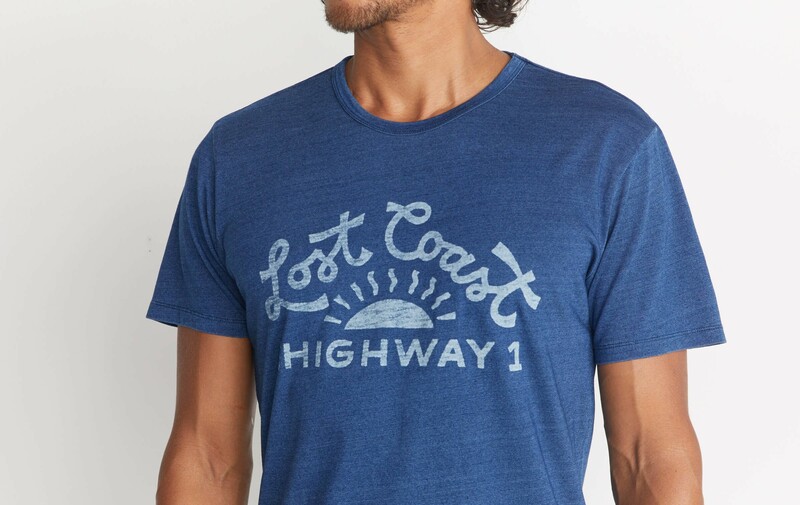 The ink actually bleaches out the indigo dye, so you're left with a tee that looks like it's already been worn to that vintage sweet spot.